Find out how you can add or amend competitors on your Rank Tracker. First, head over to Rank Tracker by clicking it at the top navigational menu. Next, head over to the project on your Dashboard, scroll to where your project resides and click on the "Add" sign under the Comp (Competitors) tab. Assuming you are already in Rank Tracker, select the project that you have already created earlier for your Dashboard. 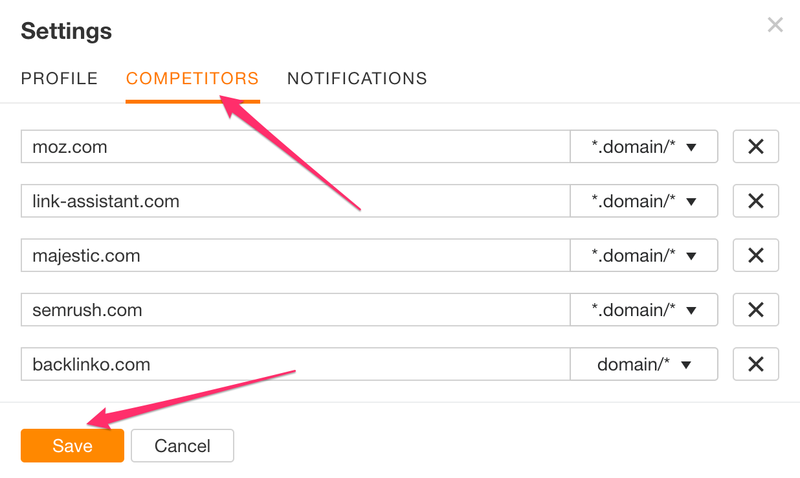 Finally, click "settings" to view information on 1) Profile, 2) Competitors and 3) Notifications. Click on the "COMPETITORS" tab and add your competitors accordingly. Do take note that the mode with which you set for each of the competitors matters and may affect the results. What do the modes for analysis *.domain/*, domain/*, Prefix and URL all mean?